1) Develop and test a public outreach program for carbon capture and storage (CCS), based on expert arguments developed in Phase 1 of the project on how to explain the case for CCS through a communications framework. 2) Address knowledge gaps identified on the topic of CO2 storage, in particular seismicity induced by injection of CO2, and the impact of seismicity on any part of the CCS process. ROAD stands for ‘Rotterdam Opslag en Afvang Demonstratieproject’ (Rotterdam Capture and Storage Demonstration Project) and is one of the largest integrated demonstration projects in the world for the capture and storage of CO2, based on a new coal-fired power station located outside of Rotterdam, the Netherlands. The ROAD project has received support from the Institute to contribute to the international development of knowledge, experience and information on CCS. Ultimately, the development of hands-on CCS knowledge and expertise should accelerate the commercial deployment of CCS projects worldwide. In this report, the Stakeholder Management function of the ROAD Project is described. Stakeholder Management within ROAD comprises permitting, regulatory affairs, and communications and public engagement. This report aims to help other CCS projects with developing an integrated Stakeholder Management approach. 이 보고서에는 ROAD의 이해 당사자 관리 기능이 기술되어 있다. ROAD내에서 이해 당사자 관리는 승인, 규제 업무 및 통신 그리고 공공 참여 등을 포함한다. 이 보고서는 통합 이해 당사자 관리 접근 방식의 개발과 함께 다른 이산화탄소 포집 및 저장 (CCS)을 돕는 것을 목표로 한다. 넓은 의미에서, 새로운 기술을 포함한 다른 프로젝트 역시 이 보고서에 제공된 분석으로부터 배울 수 있도록 구상 중이다. Global research highlights that public engagement risks for CCS projects constitute one of the many non-technical aspects of the overall project risk profile. As an industry, CCS has seen some poor outcomes in this area, with a number of projects delayed or stopped because of public concerns. The Communications/Engagement Toolkit for CCS Projects was identified in collaboration with the Australian Commonwealth Scientific and Industrial Research Organisation (CSIRO) as a way to help project proponents plan their engagement activities and benefit from the experience of others. 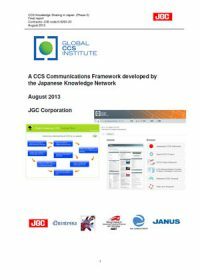 The toolkit has been designed as a practical guide for CCS project developers. 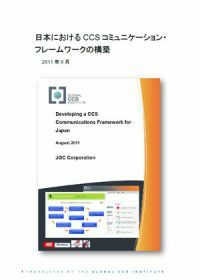 It is intended to assist in the design and management of communication and engagement activities for individual CCS projects. 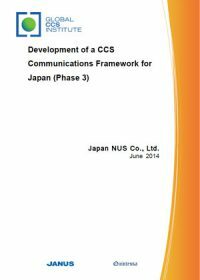 It provides a range of methods and activities for addressing the important social considerations for successful CCS project deployment. This social data and analysis represents the earliest stage of the stakeholder engagement continuum and it has the potential to help proponents to establish positive working relationships with local communities for the life of the project. The toolkit provides project proponents with a set of activities and work sheets within the following areas: gathering social data, undertaking a SWOT analysis, preparing a stakeholder analysis and developing a high level public engagement plan. provide tools to better inform the early stages of outreach strategy development. An overview report which synthesises the key findings from the case studies includes a set of evaluation factors which can also be helpful for project developers to assist in evaluating the components that are required for effective project deployment. Download this overview report. The toolkit builds on the findings from the case studies and underwent a series of global workshops and peer reviews to help shape the current content. It has the potential of being applied to other energy technologies such as geothermal, wind, and other sources. It is intended to be an organic document, which is built upon and developed as more CCS projects (or alternate energy projects) undertake public engagement activities and contribute learnings. The Institute encourages comments and feedback on the toolkit to help optimise its content, and provide additional case studies from road-testing it. These comments can be shared below when logged in. 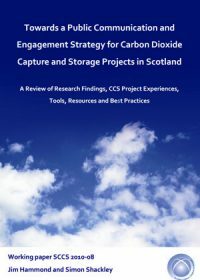 The purpose of this Scottish Carbon Capture & Storage report is to stimulate the design of effective engagement strategies between the public and proponents of CCS projects in Scotland. Engagement is the process of having an informed, two-way discussion as to whether a CCS project is appropriate in a particular locality and context. Successful engagement is not a guarantee that every project will go ahead. Projects may be rejected by publics even if they are technically viable, and establishing if this is the case early on would greatly speed the search for a suitable site. However if the reasons for a CCS project are sound, the plans carefully laid, and social conditions favourable, a good engagement strategy should greatly increase the chances of acceptance.